Level Six focused on narrative, or improvising a full-length story. That makes sense, because though we love a lot of things at The Hideout, narrative is our forte’ – the thing we’re the most passionate about. So it’s a shame that just as we’re getting into it in a direct way in classes, we’re done. Level Six teaches you the “hows” of narrative, and in Level Seven we’re going to breathe LIFE into the stories we’re putting up on stage. We’ll learn to do a playful, inspired show that prioritizes being connected and joyful about any other “rules.” Or at least we’ll try and fail, laughing all the way… and learn a ton in the process. Furthermore, each Level Seven will be an expression of the instructor’s personal philosophy and approach to putting on a playful narrative. 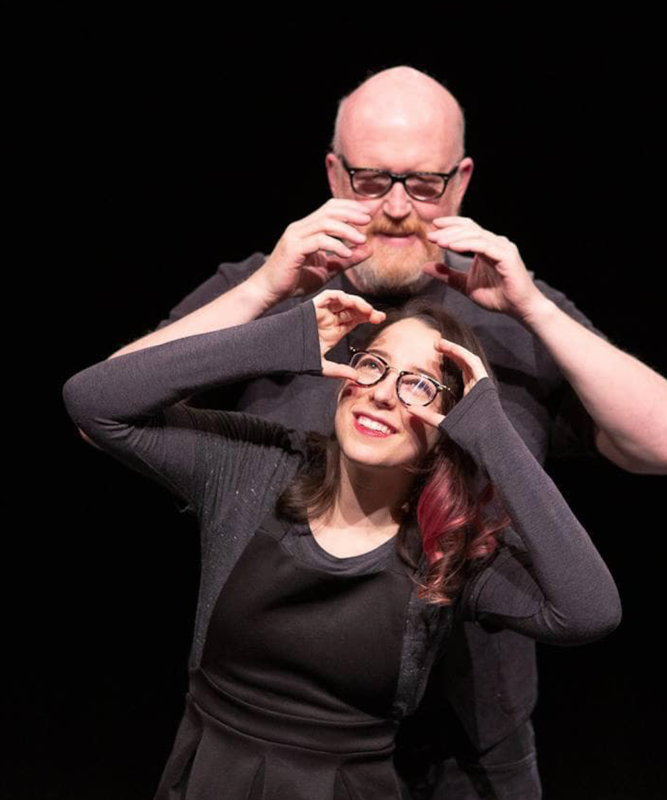 So if you’ve taken it before with a different instructor, you’ll get a different experience the second time around, as you learn to view improv through a new lens. The next Level Seven is being taught by Kaci Beeler – Hideout director, designer, and performer, who has toured to over 60 cities in 11 countries to teach and perform improvised theatre. Kaci is an all-around artist with a well-defined sense of what she loves about improv. Level Seven culminates in a showcase in the The Weekender, our Sunday showcase of student talent. There is a lot of interest in this class, and we’re never quite sure when it will be offered again, so sign up as soon as you can. * OR received permission to take the class from the instructor. Please contact Roy directly at roy@hideouttheatre.com if you have any questions at all.